Freehold. One block 36 stories. Elevated ground. Excellent downtown location. Prestigious address. A 10-minute walk to the Orchard Road shopping malls and Orchard subway. 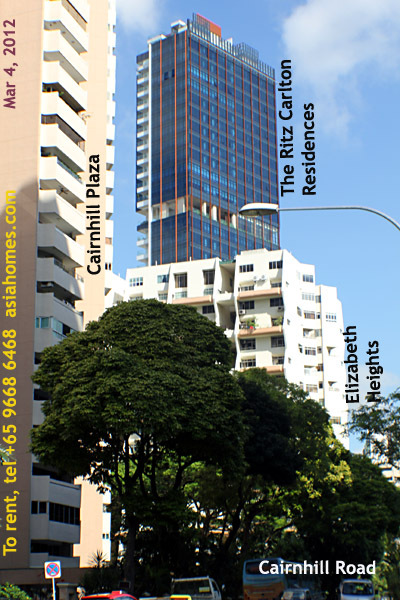 In the centre of action and a prestigious high-class residential area. The excellent Ritz-Carlton Hotel management services are provided. 56 apartments, 2 penthouses, 3 sky terraces. 3 and 4-bedroom apartments. All bedrooms have attached bathrooms. Pool - lap pool 40 m, wading pool, hydro pool. Gym, tennis court, car parking. Others: BBQ area. Library, Maze Gardens, Children's Playground, Basement Locker Room, Breakfast and tea-times, Wine cellar, House-keeping, Car valet, Doorman. 24-hour concierge services provided by The Ritz Carlton management. Maid's services are outsourced. Rental: One-year leases. Maid services at 3x/week and fully furnished units can be arranged. The minimum lease is ONE-YEAR. Monthly or weekly leases are not usually available. Sales: Units are available for sale from $12 million. We provide a convenient and free services to expatriates and their office people and foreigners looking for Singapore rentals/investments or short-leases. Such people don't have time to do the negotiations and phone calls and use our services. 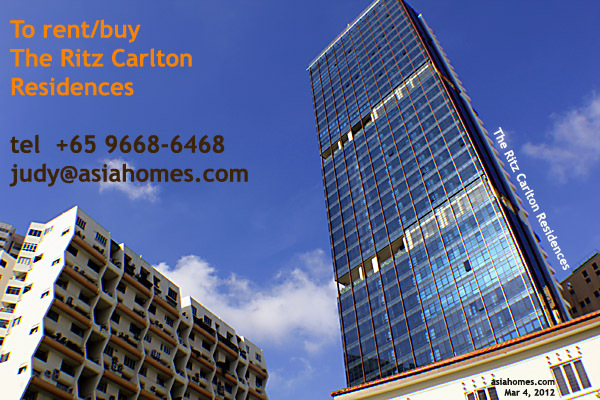 E-mail or fax house-hunting form to us at 6256-0501 and we will contact you within 24-48 hours. Text or Tel: +65 9668-6468 to get immediate answers to your queries or make appointments to view apartments when you arrive in Singapore. This webpage provides some information for expatriates planning to relocate to Singapore.